Learning to play should be an important part of every dog’s life. Whether you have a young puppy needing to learn appropriate forms of play, or an older dog learning to engage in social behaviour, encouraging the right type play has so many benefits. Besides being fun for both you and your dog, play helps dogs to express natural social behaviour, it provides an outlet for mental and physical energy and activates the release of endorphins into your dog’s system. The natural release of this ‘feel-good’ hormone leads to happier, confident and relaxed dogs. Not only is play a great way to reduce stress and build confidence in your dog, but it plays a huge role in creating a strong positive bond and healthy relationship between you and your dog. So how do we encourage the right kind of play with our dogs? The first thing to understand is that every dog is different, and therefore every dog will have a different preference on what constitutes a fun game. While some dogs will play fetch with a ball for hours, other dogs prefer tuggy games, and others prefer games with food, such as scent-work, etc. 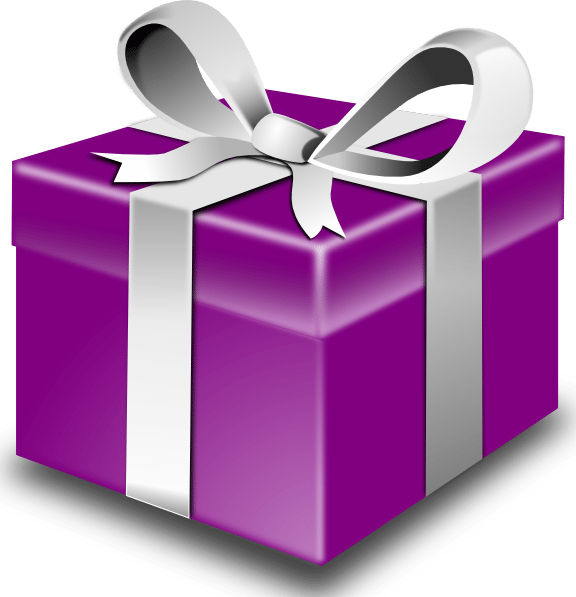 There are hundreds of different types of toys on the market. 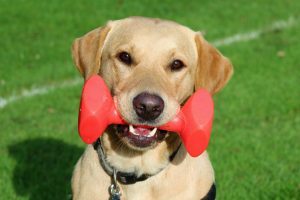 The type of toy your dog will engage and interact with will depend entirely on each individual dog; some dogs enjoy chasing after a toy that has been thrown; other dogs like to chase a toy that’s quickly moved around the floor. Playing a game of ‘tug’ with a toy is a great way to interact with your dog. 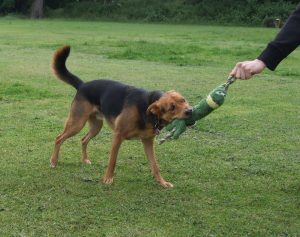 Many people have misconceptions about playing tuggy games with dogs, believing it encourages dominance and rough behaviour in dogs. This is not true, in fact, quite the opposite! It is a great bond-building activity and should be encouraged. When playing this sort of game, it’s important to have a good “leave” command to ensure the play stays under control. Introducing the “leave” command into the game is a good way to teach your dog self-control and good manners whilst playing. When your dog has a firm grip of the toy in his mouth, calmly but firmly say “leave” (just once), whilst gently bunching the toy up in your hands and pressing it into your body. This will mean your dog cannot continue the game of tug and will eventually release the toy. At this point you can praise your dog, give him a “take it” command and allow the game to continue. 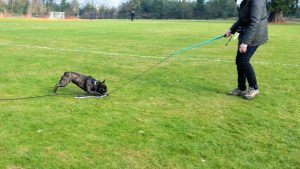 The more you practise, the quicker your dog will get at responding to the “leave” command. By allowing him to have the toy back again and continuing the game, it teaches your dog the “leave” command is not a punishment, and you will find that he will be more willing to respond to it in other aspects of life. Don’t encourage your dog to jump up when playing with toys. 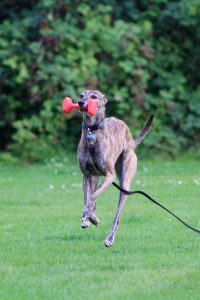 Allowing dogs to jump for toys can lead to over-boisterous behaviour, and put your dog at risk of injury. Don’t encourage rough-and-tumble games with your dog, or games that encourage nipping feet or hands. This is a common trap people often fall into with puppies, but you must bear in mind whatever behaviours you are encouraging from your dog will continue throughout adulthood. Such games may be funny or cute with a tiny puppy, but when your dog is fully grown, bigger, bouncier and has much stronger teeth, the game won’t be so cute any more. If you have allowed your puppy to behave in this way, you can’t then expect your dog as an adult to understand the game is no longer allowed. Encouraging rough play in this way has major downfalls for adult dogs too. If your dog has been allowed to play roughly with some members of the family, he is likely to display the same form of behaviour to other people he meets, too. This can cause serious problems when greeting children or vulnerable adults. Only encourage play with appropriate items, i.e. his own toys. Many dogs develop attention-seeking behaviours in the form of stealing items they shouldn’t have. So, when your dog grabs your slippers, and you instantly start yelling and chasing him around the house, this is hugely rewarding and a great game of chase! Try to play with him little and often with his own toys to prevent such behaviour developing. If he is bored and looking for something to do, direct him to his own toys. If he picks up something he shouldn’t have, try to avoid giving him any attention for it, instead create a distraction e.g. ringing the doorbell, so you can then calmly take the item away without inadvertently rewarding him in the process. It’s important for dogs to learn bite inhibition, especially during play. If your dog bites your hand by mistake, stop the game for a minute or two, until he is calm and relaxed again, at which point you can continue. This will help him to learn that biting your hand led to the end of the game, and therefore was the wrong thing to do. Don’t tell your dog off, or ‘scream’, as this will only wind him up even further. Do ensure that your toy is an appropriate size for your dog, so he has a better chance of biting the toy rather than you. Not all dogs are confident or motivated enough to play with toys; in which case using food can be a good method of teaching your dog to engage in play. There are various soft toys on the market which allow you to put treats inside a Velcro pouch. For some dogs, this is enough to incite their play instinct: chasing, tugging and sniffing out the treats, whilst interacting with you. For other dogs, you may have to be more creative! 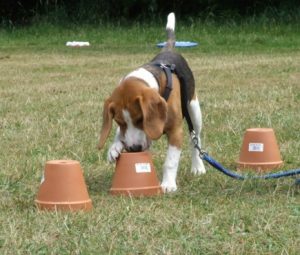 For example, hiding treats under flower pots for your dogs to find is a good way to get him using his paws and nose and engaging in the environment. There are also many toys available to buy which encourage similar play-type behaviour: Nina Ottosson toys are a good starting point and come in varying levels of difficulty. If you are struggling to get your dog to play, then bear in mind that different breeds enjoy different types of game. For example, scent hounds such Beagles may engage more in scenting and hunting games. Terriers often like soft toys to chase and tug, whilst gundogs like to retrieve. It’s just a case of finding out what makes your dog tick. Many dogs enjoy playing a game of “fetch”. Whilst for some this may come naturally, other dogs will need to be taught how to play. Start by finding a toy that your dog likes. Encourage your dog to chase after it, by throwing it out a short distance. As soon as he picks it up, give him lots of praise and encourage him to bring it back to you. You may need to be very enthusiastic! If your dog picks up the toy but won’t bring it back, you could try running away from him, which will encourage him to run towards you. Don’t chase after him as this defeats the object of the game. Alternatively, you could start by having your dog on a lead, so if necessary you can use it to guide him back to you. It’s important that you keep the game fun; he needs to learn its worth his while bringing the toy back to you for the game to continue. For some dogs, it’s beneficial to reward with a treat for returning the toy in the early stages of learning. To keep your dog interested in play, always end the game before he gets bored, so he is left wanting more. Have a range of different toys for him to play with. It is a good idea to rotate the toys he has access to in his toy box every few days. Every time you rotate them round he will feel like he is getting brand new toys all over again! The most important thing, is to have fun! 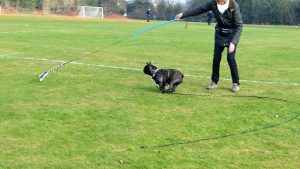 Pet Necessities Professional Dog Training – Egham, Surrey. 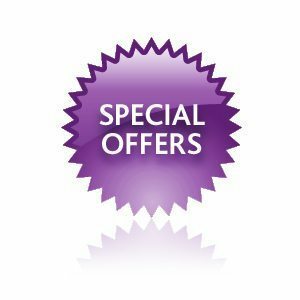 www.petnecessities.co.uk. 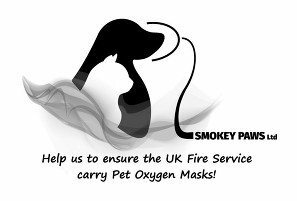 07969 997 272. training@petnecessities.co.uk. Fans of our Facebook page will know how much we value the mental stimulation provided by food-stuffed dog toys. This will be the topic of this blog. 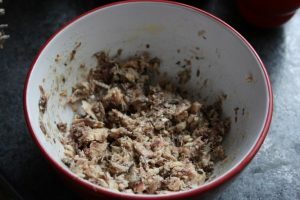 We are renowned for the quality of our Kong Stuffing recipes, so read on to add another to your recipe list. Mental Stimulation is vitally important for many reasons. Our pets require mental stimulation as much as physical exercise. Dogs that are under-stimulated or bored often present many of the problems reported to trainers and behaviourists. These include behaviours such as stealing items, jumping up, inappropriate chewing, digging etc. Numerous breeds of dog kept as pets were historically bred to do a job. Working breeds in particular, are very difficult to physically exhaust! Mental Stimulation is also invaluable when your dog is unable to receive as much physical exercise as they are used to. This is all too common. It can be down to your own illness, your dog recovering from illness or injury, or extremes of weather. Dogs used to regularly receiving mental stimulation are more likely to settle on occasions when they can’t be as physically active as they are used to. 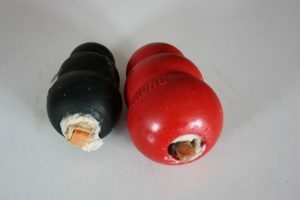 Using a suitable toy for stuffing, along with a variety of food/treat types and stuffing techniques will provide vital mental stimulation that is easy to do, and not necessarily expensive. There are many toys for dogs that are suitable for stuffing with food; the ones recommended by Pet Necessities Online can be found here. The best dog interactive toys for this particular recipe are a Kong or Tux. 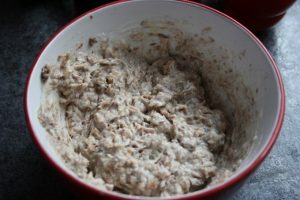 The ingredients you need are some natural yoghurt, tinned sardines and Fish4Dogs Sea Wraps. Drain the oil from the sardines and mash. Stir in some natural yoghurt; just enough to hold the fish together. Spoon the mixture into your toy of choice. Once stuffed with the mixture, push a Sea Wrap into it, leaving a small part sticking out. 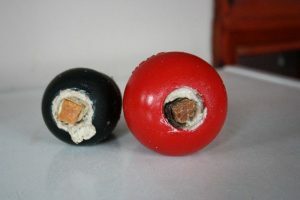 (This will give your dog an instant reward and encourage him to try hard to remove the rest of the filling.) Freeze and then serve to your dog.